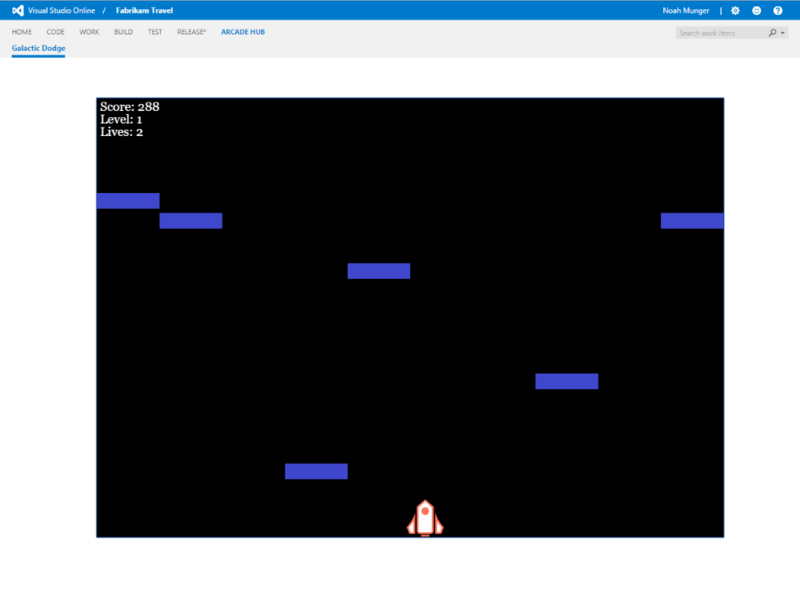 Inspired by a retro arcade game this extension allows you to have some fun within Visual Studio Team Services in the form of dodging asteroids. We think a little friendly competition is always good so we also integrated the leaderboard with teams. Don’t get hit by those incoming asteroids! Your ship has stumbled into a never ending asteroid field and it is your job to maneuver around them. Use your the left and right arrow keys to dodge incoming asteroids. Your ship can only take three hits so be careful! Watch out, it gets harder the deeper in you get. What are you waiting for?! Get out there and set that high score.